I’m so busy placing editorial stories in newspapers, magazines, the Internet, TV and radio, I sometimes forget to check the results. It doesn’t happen often, but it does happen. Such is the case with Kent Karosen, President and CEO of the Fisher Center for Alzheimer’s Research Foundation. I secured a PBS interview for him about his book last November and just remembered to watch it yesterday. Steve Adubato of PBS NY/NJ did the interview on his One-on-One show which discusses compelling, real life stories and features political leaders, CEOs, television personalities, professors, artists and educational innovators. I was blown away. It was a very emotional interview with Kent. He talked about his horrific experiences with 9/11 and how close we are for a cure for Alzheimer’s. 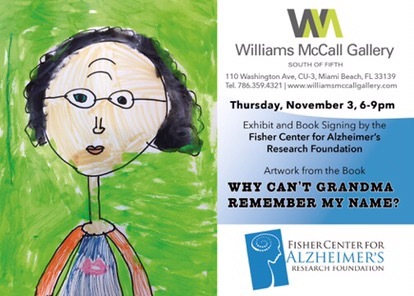 Kent ‘s book, “Why Can’t Grandma Remember My Name?,” teaches youngsters about Alzheimer’s and how it impacts entire families. Kent is also Senior Managing Director and Partner at Cantor Fitzgerald. He escaped being killed on 9/11 by just minutes. He was walking into the towers just as they were coming down. For the last 15 years he has totally devoted himself to helping others. Kent never fully recovered from this horrifying experience. His charitable work is what he lives for. Debbie Nigro, of the Debbie Nigro Radio Show, asked author Kent Karosen, how much longer it will be before researchers find a cure for Alzheimer’s. He answered it. Kent knows a lot about the subject because he is President and CEO of the Fisher Center for Alzheimer’s Research Foundation. 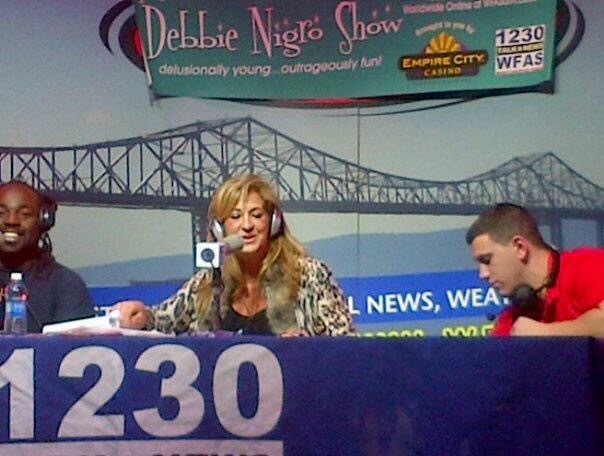 Click here to hear the interview. His explanation is very promising. Year after year, Kent is in charge of the annual Cantor Fitzgerald 9/11 Memorial Service for the families of his 658 coworkers, a Member of Intrepid Museum’s Board of Directors, Chairman of the Star Leadership Awards and Dinner, Temple Emanu-El Miami Beach, as well as President and CEO of the Fisher Center for Alzheimer’s Research Foundation. Kent just wrote a book for children which explains Alzheimer’s disease using artwork created by children juxtaposed with art created by Alzheimer’s patients. Called “Why Can’t Grandma Remember My Name?,” the book demonstrates the power of art therapy for all ages and a way for parents and family to share with a younger audience what is happening to Grandma or other loved ones. Bloomingdale’s is devoting three windows to the book starting November 1 in New York City and then again in their Aventura, Miami, FL store the week after. The book will have an official debut at the Williams McCall Gallery in South Beach on Nov 3rd. Kent has a full schedule of activities around the country after that. Below is the press release announcing his new book. New York, New York, November 1 – Today, the Fisher Center for Alzheimer’s Research Foundation is proud to announce the launch of a book written by the Foundation’s President, Kent L. Karosen, and co-author Chana Stiefel. The book explains Alzheimer’s disease using artwork created by children juxtaposed with art created by Alzheimer’s patients, demonstrating the power of art therapy for all ages and a way for parents and family to share with a younger audience what is happening to Grandma or other loved ones. The book is now available for purchase at the start of Alzheimer’s Awareness Month, to address Alzheimer’s which directly affects 5.3 million Americans and an expected 16 million people by 2050. The disease costs our country over $200 Billion annually and is estimated to cost over $1.1 Trillion unless there is a cure. To get a copy of Why Can’t Grandma Remember My Name? visit http://www.alzinfo.org/book. Led by President and CEO, Kent L. Karosen, the Foundation was established in 1995 by Zachary Fisher. The Foundation has received the exceptional 4-Star rating from Charity Navigator for the fifth consecutive year. The Fisher Center is one of the largest and most modern facilities in the world dedicated to solving the puzzle of Alzheimer’s, and considered by many to be a prototype for Alzheimer’s research. The Center is led by Nobel Laureate Dr. Paul Greengard, recipient of multiple awards and honors throughout his career, and includes a research team of over 50 world-renowned scientists. To learn more about the Fisher Center’s innovative research, go to http://www.ALZinfo.org.